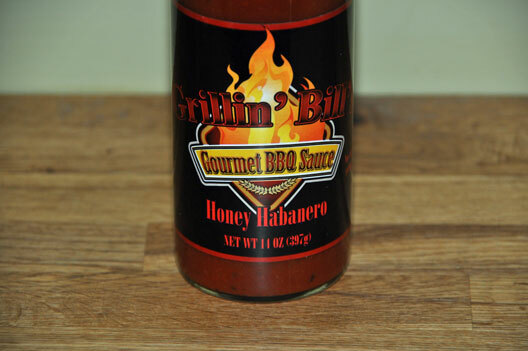 Grillin Bills Honey Habanero Gourmet BBQ Sauce is a healthy California-based grilling sauce with great ingredients – noticeably high fructose corn syrup-free and gluten-free. 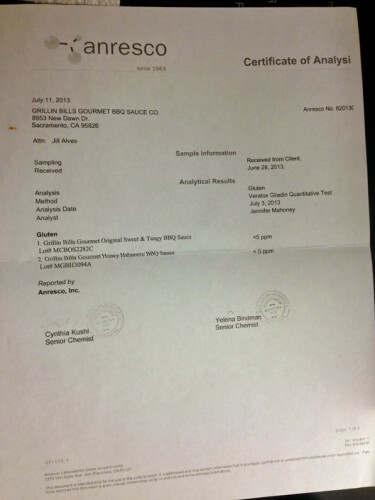 Speaking of which – this is the first time I’ve had Veratox Gliaden Quantitative Test results sent that PROVE that this sauce has under 5 ppm (parts per million) – this could be considered something known as “GF-5” under some new proposed federal guidelines. Interesting times indeed! Upon the first look at the sauce bottle, I liked most of it – the label is professional looking and shouts No Corn Syrup on the side. One minor nit about the label is that I thought the color scheme was a bit dark and tough to read. The copywriting was fairly standard but described the contents fairly well. One other thing I like to see when the sauce is named after a person, is a picture or some type of caricature of the person. 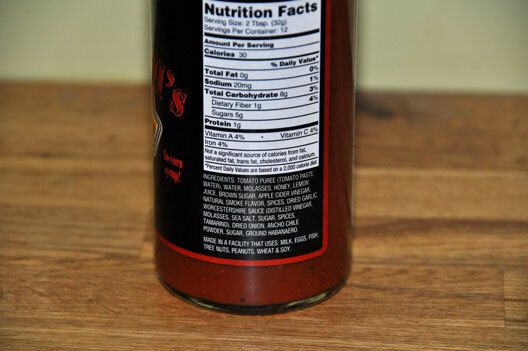 Looking inside the bottle, the appearance of the sauce itself has a thick tomato-sauce-like consistency and tons of real spices floating around in it – it looks like it was made to attach itself to a piece of meat. Uncooked I liked the added habanero flavor and heat that provided a boost to what otherwise have been a ho-hum sauce. The honey played somewhat of a supporting role but was joined by molasses and brown sugar in the sweetening department – which is good, because it takes a lot of honey to sweeten sauce and its not the best complement to meats when used as the sole sweetener. The spice and flavors were somewhat mild. The habanero’s provide a little heat – enough to get you to pay attention – but not enough to take center stage. I think it could have been a bit stronger in the heat department, but the overall sauce really benefited from the habanero taste and spice. After cooking, the sweetness of the sauce was diminished and the heat and spices in the sauce were able to come to the surface and shine. 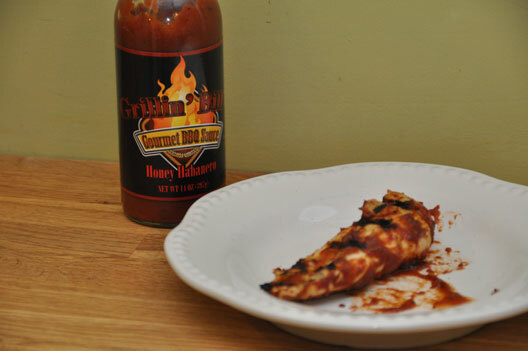 Some of the basic elements included Tomato Puree, Molasses, Honey, Lemon Juice, Brown Sugar, Apple Cider Vinegar, Worcestershire sauce, and a bunch of dry spices – garlic, onion, Ancho Chile powder – and of course some additional habanero peppers for good measure. Looking for a sauce that’s healthy and different and slightly spicy? This just might make a perfect choice. I hope it is for retail sale in Northern California so I can pick up a bottle or two.